Announcing the Judging Panels for the 2018 Writivism Prizes! We are pleased to announce the six judges for the 2018 short story and creative non-fiction prizes. The short story prize panel will be chaired by Shadreck Chikoti, a writer, publisher and representative of the Story Club of Malawi, who are sponsoring the prize. Chikoti will be joined by Beatrice Lamwaka, an award-winning Ugandan short story writer and Emmanuel Sigauke, a writer, editor, and longstanding member of the Writivism Council of advisors. The Koffi Addo prize for creative non-fiction panel will be chaired by Akwaeke Emezi, a novelist and memoirist. She will be joined by Daniel Kalinaki, a journalist, biographer and General Manager- Editorial of Nation Media Group (Uganda) and Sumayya Lee, a novelist, editor and longstanding member of the Writivism Council of advisors. The prize is sponsored by the Koffi Addo family, through MAKEDA. Shadreck Chikoti is a Malawian writer and social activist. He was listed by CNN as one of seven must-read African authors. He has won numerous literary awards including the 2013 Peer Gynt Literary Award with his futuristic novel, Azotus the kingdom, also shortlisted for Africa Nommo Awards for speculative fiction. He was recently nominated by the Africa39 project as one of the “most promising African writers under 40.” Chikoti’s work has also appeared in several anthologies, including the Caine Prize anthology To See the Mountain and Other Stories (2011), and in All The Good Things Around Us: An Anthology of African Short Stories. He is the director of Pan African Publishers and in 2013 he founded the Story Club, a space for literary enthusiasts. He lives in Malawi with his wife and three children. Akwaeke Emezi is an Igbo and Tamil writer and video artist based in liminal spaces. Her debut novel Freshwater (Grove Atlantic, 2018) has been listed as a most anticipated book by Esquire, The Rumpus, Elle, Bustle, and Book Riot, among others. Her short story ‘Who Is Like God‘ won the 2017 Commonwealth Short Story Prize for Africa. Daniel Kalinaki, is a Ugandan journalist, editor, trainer and author. He is currently the Nation Media Group Uganda General Manager- Editorial and was previously the Managing Editor – Regional Content at the Nation Media Group in Nairobi, Kenya, and editor the Daily Monitor in Uganda. His most recent book, Kizza Besigye and Uganda’s Unfinished Revolution, was published in November 2014. Beatrice Lamwaka is the founder and director of Arts Therapy Initiative, a non-profit organisation that provides psychological and emotional support through creative arts therapies. She writes articles, short stories, poetry, and is working on her first adult novel. Her collection of short stories, Butterfly Dreams was launched recently. She is a recipient of 2011 Young Achievers Award. She was shortlisted for the 2015 Morland Writing Scholarship, the 2011 Caine Prize for African Writing and was a finalist for the South African PEN/Studzinski Literary Award 2009. 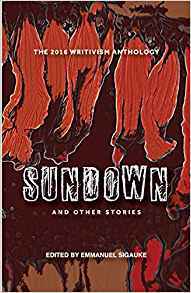 The anthology of short stories, Queer Africa: new and collected fiction (2013), which includes her short story, won the 26th Lambda Literary Award for the fiction anthology category in 2014. Her writing has been translated into Spanish, Italian and French. Emmanuel Sigauke teaches English at Cosumnes River College in Sacramento, California. Educated at Gwavachemai Secondary school in rural Zimbabwe and High Field High school in Harare, studied English at the University of Zimbabwe and California State University, Sacramento. He has been published in poetry and fiction anthologies, and his collection of short stories, Mukoma’s Marriage and other Stories, was a finalist in the 2015 NAMA awards, Zimbabwe. In 2015 he co-edited Roses for Betty and other Stories, published by the Centre for African Cultural Excellence (CACE) and is the sole editor for Sundown, the 2016 Writivism Annual anthology. He has edited various other anthologies, notably the African Roar series. He has been a mentor on the Writivism programme and judge of the short story prize. He is also the founder and editor of Munyori Literary Journal. Emmanuel is the Editorial Liaison at Writivism. Sumayya Lee was born in Durban and spent part of her childhood in the UK. She has worked as an Islamic Studies teacher, Montessori Directress and Teacher of English as a Foreign Language. Her debut, The Story of Maha (Kwela, 2007) was shortlisted for the Commonwealth Writers Prize for Best First Book – Africa and longlisted for the Sunday Times Fiction Award. She judged the 2016 Writivism Prize and is also the Mentoring and Residency Liaison at Writivism. *The deadline for submissions to the 2018 Writivism Prizes is 31 March 2018. Submission guidelines can be found here for fiction and here for nonfiction. The 2017 Writivism Prizes were awarded to Munachim Amah (short story) for Stolen Pieces and Charles King (Koffi Addo) for Meat Bomb. Unpublished emerging writers based in an African country are encouraged to submit original fiction/nonfiction stories for the 500$ each, prizes. All longlisted stories are published in an annual anthology, shortlisted stories are published by Munyori Literary Review and Enkare Review and the shortlisted writers are invited to the annual Writivism Festival, where the winners are announced. Each winner is offered an opportunity for a one-month writing residency at Stellenbosch University in South Africa to work on a manuscript.